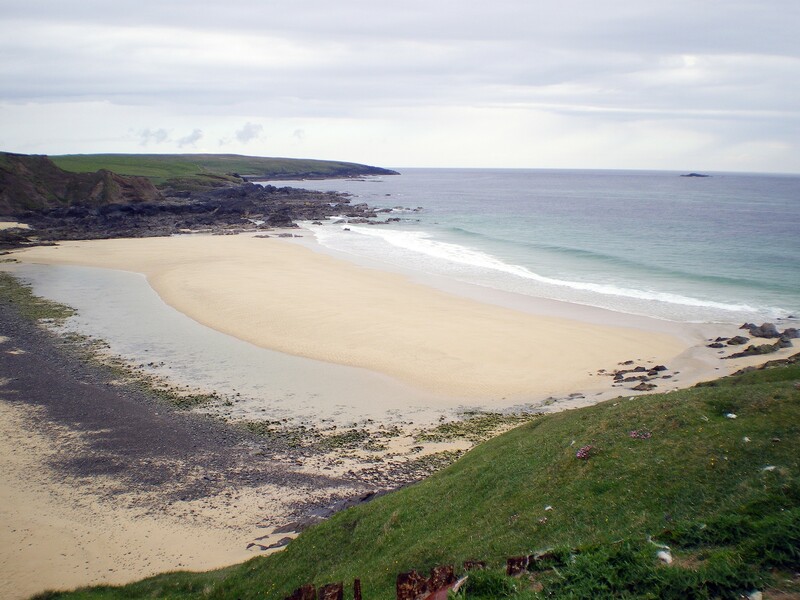 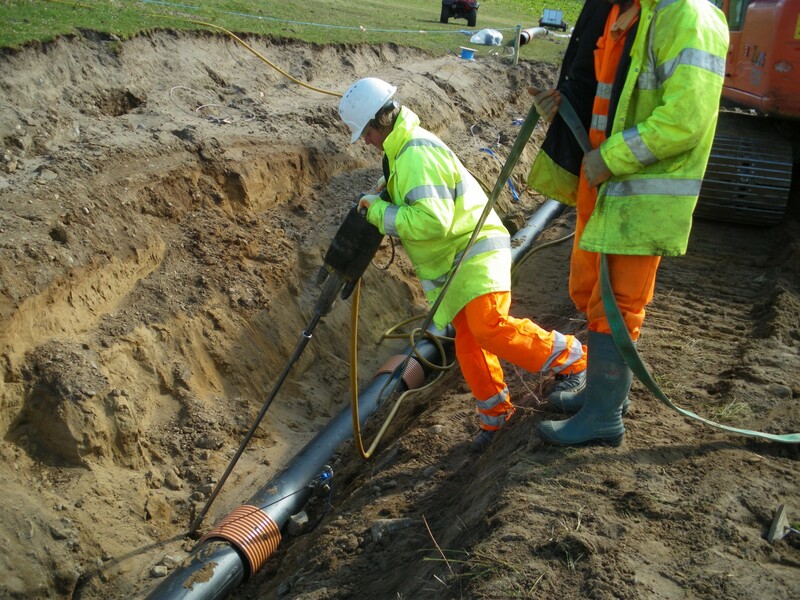 Due to localised shallow slip failures and ground movement along this stretch of the coastline the existing outfall pipeline has in places fractured and broken causing leakage of the pipe contents. 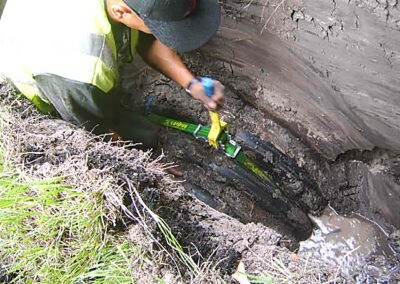 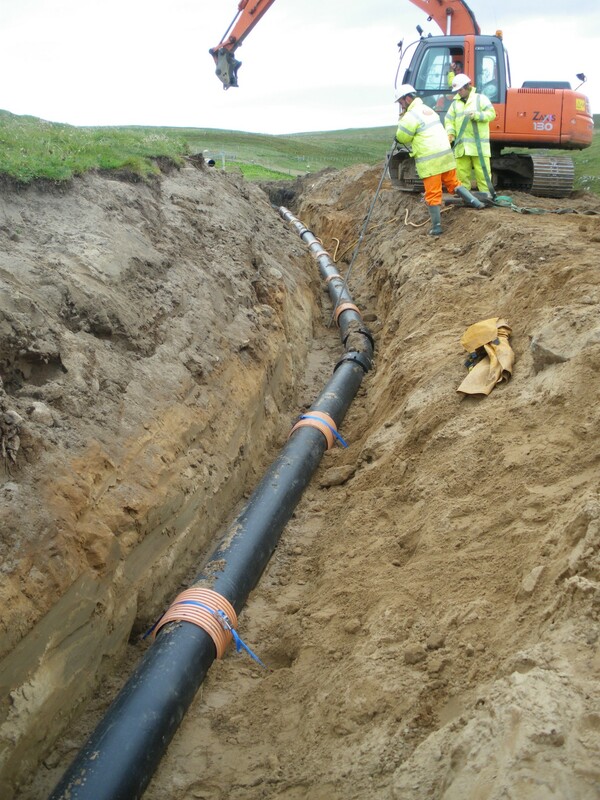 This leakage into the surrounding ground has promoted further erosion and movement and increased the damage to the pipe and the surrounding area. 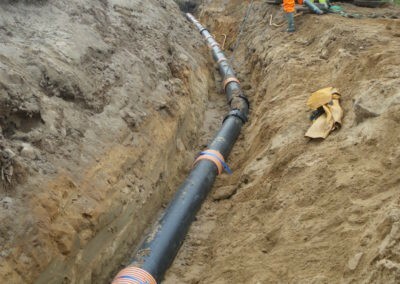 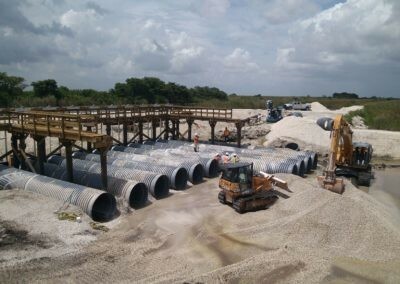 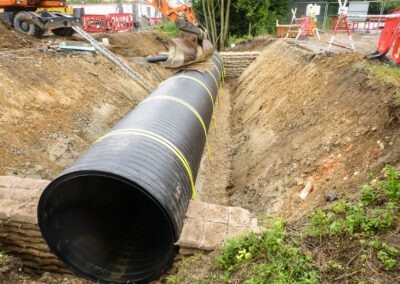 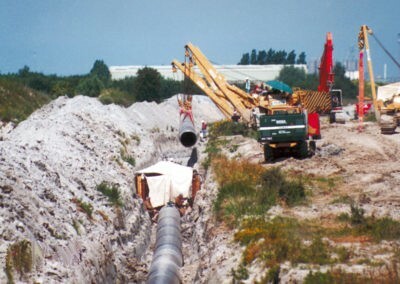 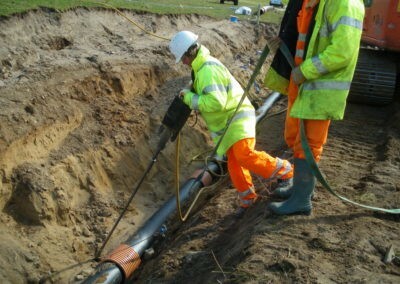 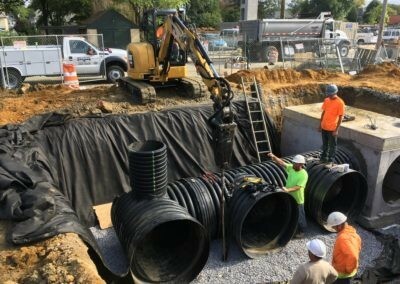 Complete replacement of this 700m long section of pipeline using a 280mm diameter HPPE product was deemed the most cost effective long term solution. 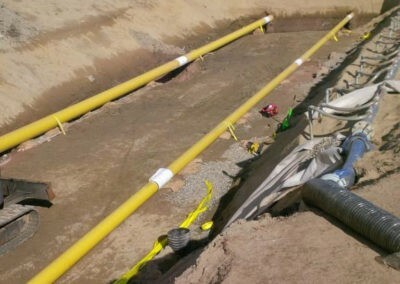 To prevent the same fate affecting this new pipeline it was securely anchored into the bottom of a new trench at a depth below any future expected slope failure. 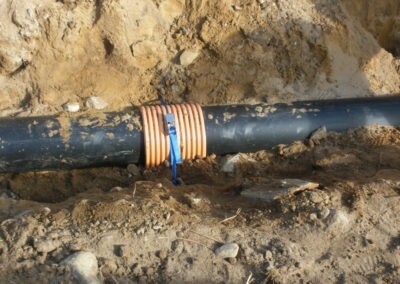 Working with limited access the anchors provided a quick and easy way of securing the pipeline. 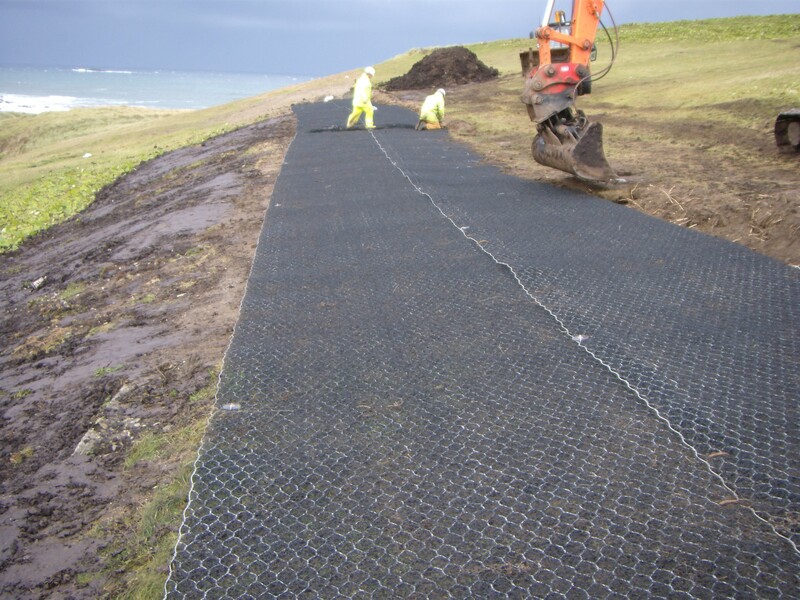 The solution removed the requirement for concrete anchor blocks and minimised the need for machine traffic on site, reducing the damage to the surrounding machair grassland. 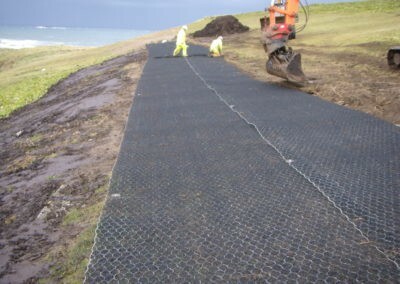 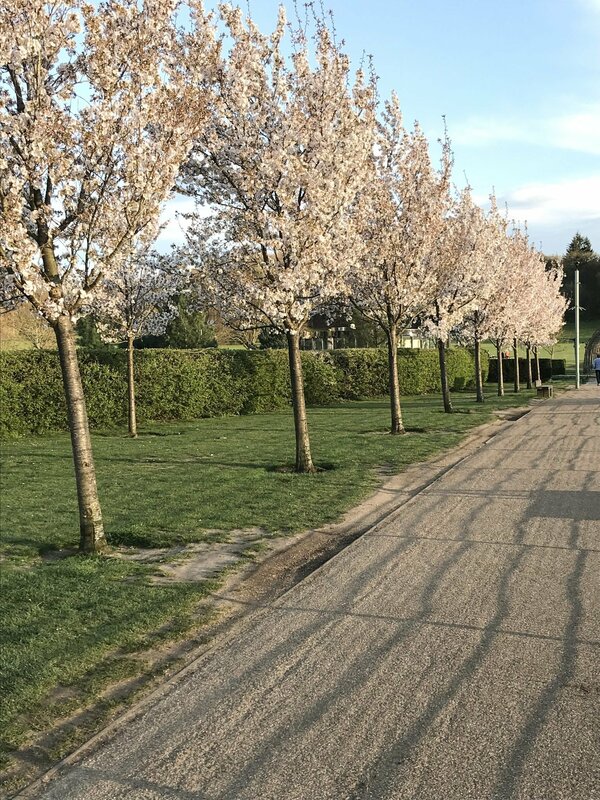 Once the trench was backfilled S2Geo System anchors were used to secure a MacMatR geosynthetic to minimise any surface erosion and also help quickly regenerate the vegetation growth. 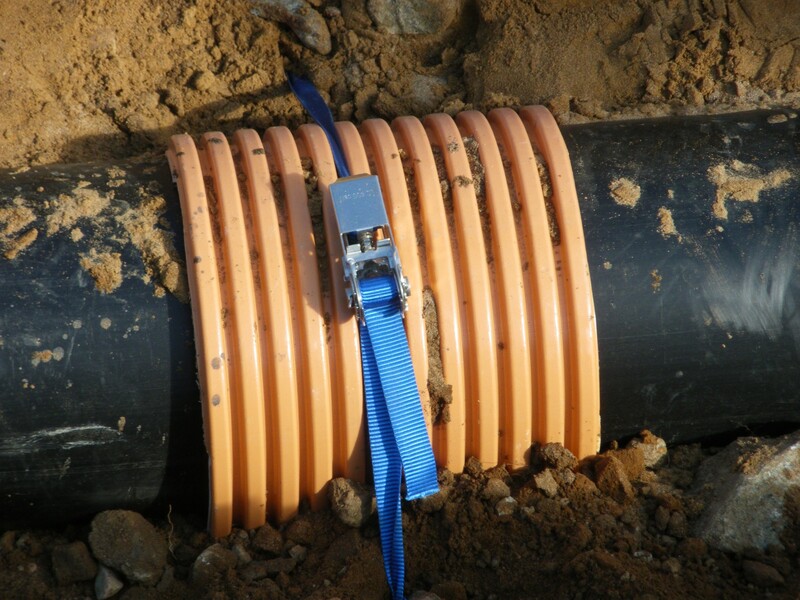 Pipeline Anchor System: Pipeline – S06EB aluminium bronze anchor c/w 2m of 6mm Ø stainless steel wire tendon, 25mm wide polypropylene webbing strap and stainless steel ratchet fixing. 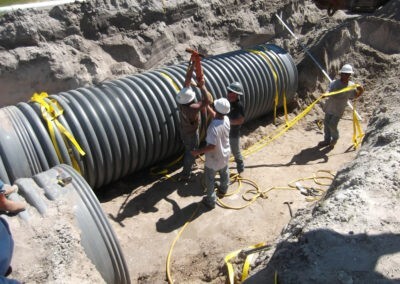 Erosion Control – S2 Geo System c/w 0.6m of 3mm Ø stainless steel wire tendon, 90mm Ø polyethylene plate & aluminium swage.